With so many people talking about the new Ubuntu Font that’s soon to be released to the public for beta testing, I thought I would take the opportunity to post a quick and easy guide to testing these fonts before everyone else does! 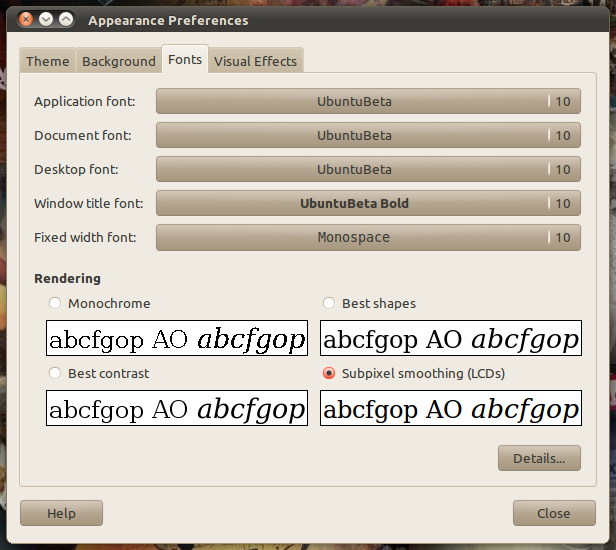 Preview of the new Ubuntu Font in action.. If you’d like to test these fonts, then you need to follow these instructions exactly (since the ppa is “private”). I found other site instructions a bit confusing, so if you follow my directions you should have these installed effortlessly and pain free in no time. Now open a new tab and navigate to the following link. Once there, you should see the PPA listed as “ppa (ppa:ubuntu-font-beta-testing/ppa)” in your list and it may be the only one. There should be a link labeled “View” to the far right of it, click it. The link that you just opened when clicking view should list software sources for this PPA that are unique to you. Open your software sources list file and copy these two source lines to the bottom, save and close (using the following command to open the sources). You should now have the new font installed. Good luck and enjoy! As many Linux users know by now, Gaim has been renamed for a second time to Pidgin due to legal issues with AOL over the use of ‘AIM’. Many distros of Linux operating systems still distribute the popular messenger client in older versions that are still under the title Gaim. 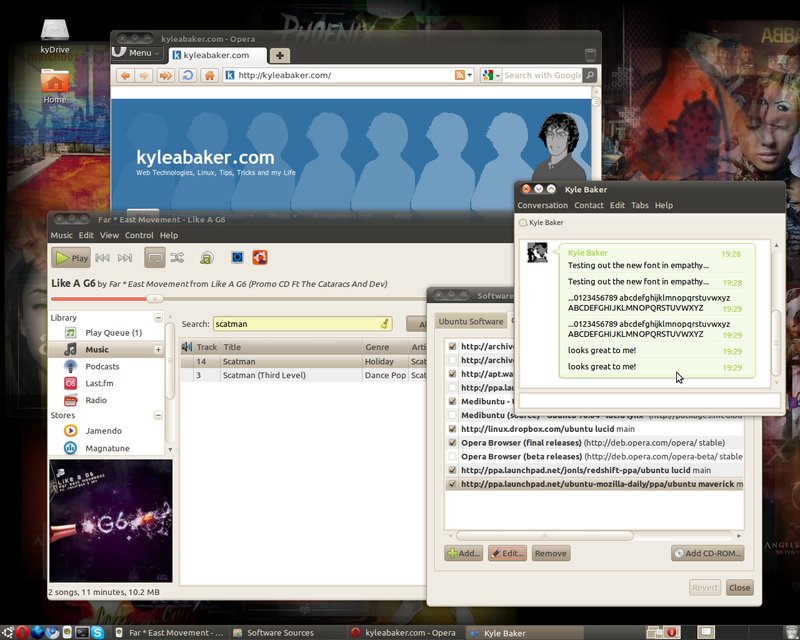 I’m not the kind of person to use outdated software, so updating to Pidgin was one of the first things that I did when I made the move from Windows Vista to Ubuntu. I found the task to be a bit more lengthy than I had intended. Go to your Add or Remove application and completely remove anything associated with Gaim. Go to www.Pidgin.im and download the source package. Extract the source package and navigate to the folder that the files were extracted to in a terminal window. Pidgin should now be successfully installed on your computer! You can now delete the source files that you downloaded from www.Pidgin.im. If you experienced any problems while trying to follow this guide, please leave me a comment and I’ll try to help out. Always use Google.com to search for error messages before seeking help from others. Your questions are most likely already answered somewhere!